We have a very unusual New Year Eve at the biological station: waves on the sea go up and down; never previously seen green lights sparkle in the open clean water at the Eremeevsky rapids; pink ice formed near the Sour-Sweet lake; and a flock of mallards joined the eiders who gathered to spend the winter in the Great Salma - as if we were not in the Arctic, but at a Moscow embankment. But the snow, the taiga and the air are the same. 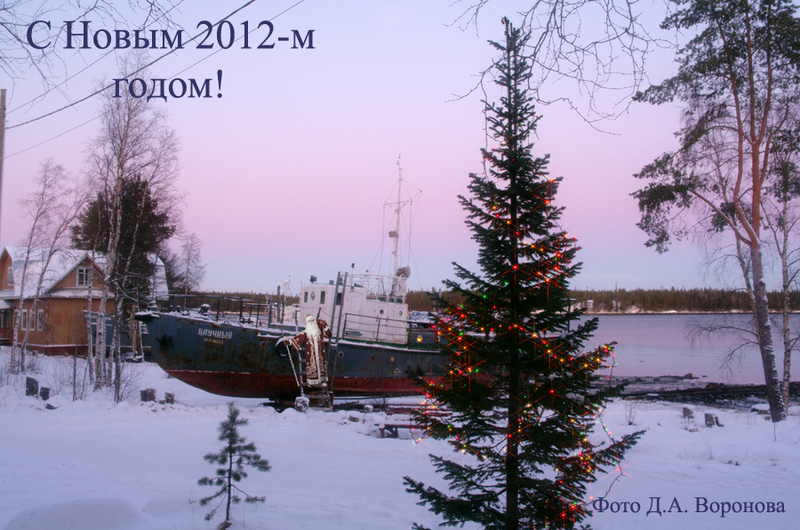 We send to all who love our biological station and the North, our warmest New Year greetings from the White Sea. May the coming year bring you success in whatsoever you are doing!